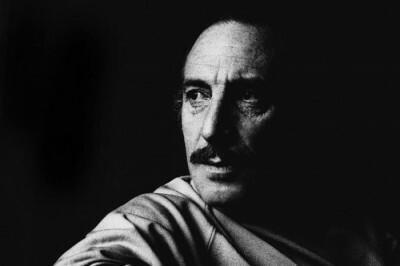 Orlando Letelier (image left, photo credit: Unknown / Wikimedia (CC BY-SA 3.0)) was an exiled former Chilean diplomat. He had served in the socialist government of Salvador Allende, who, in 1973, was overthrown in a US-backed coup. The notorious dictator Augusto Pinochet took over. Letelier was seized, tortured and imprisoned. He was released a year later as a result of international pressure. He was invited to Washington, DC where he became a senior fellow at the Institute for Policy Studies, the director of the Transnational Institute, and a professor at American University. 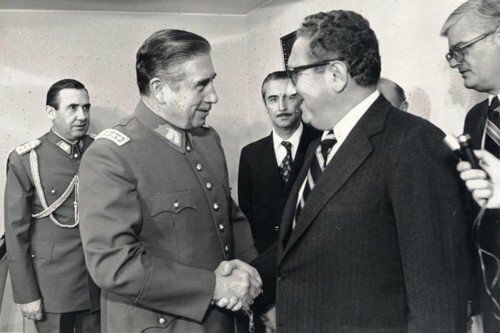 More important, he became the leading voice of the Chilean resistance — and thanks to his lobbying, he prevented several loans from being awarded to the Pinochet regime. 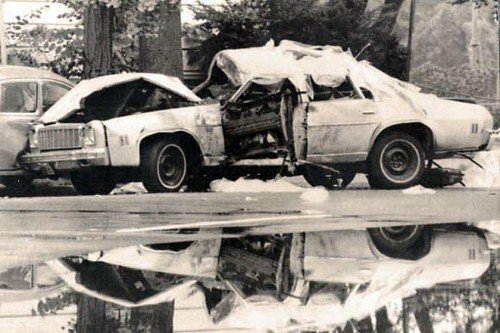 On the morning of September 21,1976, Orlando Letelier was driving to work with his assistant, Ronni Moffitt, and her husband when a bomb went off under his car. It blew off the bottom half of his body and severed both legs; flying shrapnel severed the larynx and carotid artery of Ms.Moffitt who was in the passenger seat. Both died soon after. At the time, George H.W. Bush was CIA director. And as Peter Dale Scott asserts in the excerpt below, the CIA, a Latin American assassination apparatus, and international drug dealing were all bound up together. Sound like fiction? Well, where do you suppose fiction writers get their ideas? In the nearly 40 years since, some basic facts about the Letelier assassination have slowly come to light. Those facts are, for the most part, no longer contested. We shall look more closely at Condor and its drug connections in this book. What is particularly relevant here is that DINA, Condor, and the Cuban Americans who were involved in Letelier’s assassination were all also involved in drug trafficking. Even in the best accounts of the Letelier assassination, the drug aspect of the killing is usually ignored. Yet, as we shall see, the Cuban Nationalist Movement, from which Letelier’s Cuban assassins were picked, was reported to be financing itself through drug smuggling organized by DINA. (21) That the U.S. government covered up a drug-financed assassination in its own capital is another fact I continually repress from my own mind, even though I have twice written about it in the past. It is one more clue to a larger pattern easily repressed, that is, of recurring drug traffic involvement in CIA-related assassinations. The continuous U.S. involvement in the global drug network, one of the main themes explored in this book, is a destructive pattern that persists to this day. In the next chapter, I shall argue that it is not a self-contained activity, extrinsic to the basic sociopolitical structure of America, but an integral cause and part of a larger war machine, an apparatus with a settled purpose fixed on achieving and maintaining global American dominance. I call the Letelier murder a deep event because the involvement of protected covert assets made it an event that would, at least initially, be covered up rather than exposed by the mainstream American media. Furthermore, the forces underlying it were too deeply interwoven with backdoor intelligence operations to be promptly resolved by the normal procedures of law enforcement. It was thus an example of sanctioned violence, by which I mean that at all stages the perpetrators were protected by others in higher authority. It does not mean it was affirmatively approved in advance by Americans (on this point I have no information). Many Americans are at least dimly aware that we have had a number of similar deep events involving this form of sanctioned violence in the past half century. Some of these – including the murders of John F. Kennedy, Martin Luther King Jr., and Robert Kennedy – have had significant structural influence on the subsequent evolution of American political history. I have argued in The Road to 9/11 that we should consider the attack of 9/11 as yet another example of a deep event, another chapter in our nation’s deep history. The politically minded rich, or what I have called the overworld, have reasons that ever occur to those of lesser means to tolerate mob violence. At a minimum, they are often not unhappy to see municipal law enforcement in cities like Chicago or New Orleans weakened by mob corruption. Frequently they will turn to the same elements, on a local or national level, to influence corrupt legislators themselves. And sometimes they will turn to mob violence to achieve their own private political goals, with more impunity abroad in banana republics but occasionally also at home. I conclude from these business examples that in studying the politics of violence, we should look at the entire template of unrecognized or deep power that maintains a violent status quo in our society, a template that embraces bureaucracies, intelligence agencies, business and even media. The drug traffic itself is part of this wider template and a recurring factor in our deep history. So, too, is that part of the overworld that launders drug money or hires criminals for its private needs. Many ordinary people, in an extraordinary number of urban locations, are more governed in their daily lives by their debts to local drug traffickers than by their debts to the public state. They know that if they fail to pay their taxes, they face fines or even prison. But if they fail to meet a drug debt, someone, perhaps a loved one, may be killed. 16. Peter Kornbluh, “Kissinger Blocked Demarche on International Assassinations to Condor States,” National Security Archive, April 10, 2010, http://www.gwu.edu/~nsarchiv/NSAEBB/NSAEBB312/index.htm. 17. Peter Dale Scott, “Miami-Dade Reversal—A Cuban Terrorist Payback to Bush Family?” Pacific News Service, December 7, 2000. 18. New York Times, October 12, 1976. 19. Joseph J. Trento, Prelude to Terror: The Rogue CIA and the Legacy of America’s Private Intelligence Network (New York: Carroll and Graf, 2005), 81. 20. John Prados, Safe for Democracy: The Secret Wars of the CIA (Chicago: Ivan R. Dee, 2006), 424. Foreign Affairs Senior Fellow Kenneth Maxwell writing in 2004 for the Council on Foreign Relations reached the same conclusion. He noted that “other assassinations of opposition figures planned by Condor in Europe were in fact prevented because the United States tipped off the governments in question (France and Portugal) in advance” (David Maxwell, review of Peter Kornbluh, The Pinochet File: A Declassified Dossier on Atrocity and Accountability (“Fleeing the Chilean Coup,” Foreign Affairs, January/February 2004), http://www.foreignaffairs.org/20040101faresponse83116/ william-d-rogers-kenneth-maxwell/ fleeing-the-chilean-coup-the-debate-over-u-s-complicity.html). Maxwell was here simply epitomizing the detailed arguments put forward earlier by John Dinges and Peter Kornbluh. Yet both the Council on Foreign Relations and its president, Richard Haass, arguably moderates in today’s distorted political spectrum, allowed a blustering denial to be published by Kissinger associate William D. Rogers and then refused Maxwell the chance to document his charges. Maxwell eventually resigned. 21. Peter Dale Scott and Jonathan Marshall, Cocaine Politics: The CIA, Drugs, and Armies in Central America (Berkeley: University of California Press, 1998), 30–31, 33. 22. Robert Hutchison, Their Kingdom Come: Inside the Secret World of Opus Dei (New York: St. Martin’s/Griffin, 2006), 262–65; David Yallop, In God’s Name: An Investigation into the Murder of Pope John Paul I (New York: Carroll and Graf,2007). 23. Scott, Deep Politics, 99–106 (banana companies), 154–59 (newspaper circulation wars); Thomas Repetto, American Mafia: A History of Its Rise to Power (New York: Henry Holt, 2004), 206–10 (Henry Ford), 198–206 (entertainment). 24. Thomas Repetto, Bringing Down the Mob (New York: Henry Holt, 2006), 78–81. 25. Peter Dale Scott, The War Conspiracy: JFK, 9/11, and the Deep Politics of War (Ipswich, MA: Mary Ferrell Foundation Press, 2008), 279, citing Hank Messick, Lansky (New York: Putnam’s 1971), 89. Cf. Shanghai Power Company (American and Foreign Power) and Tu-Yueh Sheng of the Chinese Green Gang (Scott, Coming to Jakarta, 95–96).